On August 13, 2018, President Trump signed into law the National Defense Authorization Act for Fiscal Year 2019 that contains the Foreign Investment Risk Review Modernization Act of 2018 (FIRRMA), the first significant reform of the process and jurisdiction of the Committee on Foreign Investment in the United States (the CFIUS) in more than a decade. Some provisions of FIRRMA went into immediate effect. Other provisions must wait for implementing regulations to be adopted and will go into effect on February 13, 2020 (18 months after enactment), or 30 days after the implementing regulations are published in the Federal Register, whichever is earlier. Certain non-controlling direct or indirect investments by foreign persons in U.S. business. Specifically, CFIUS may review non-passive investment in a business that (1) owns, operates, manufactures, supplies or services critical infrastructure; (2) produces, designs, tests, manufactures, fabricates or develops critical technologies; or (3) maintains or collects sensitive personal data of U.S. citizens that may be exploited in a manner that threatens national security. “Critical technologies” are essentially any technologies on an export control list, primarily the U.S. Munitions List (sensitive military items) or the Commerce Control List (commercial, dual-use, and less sensitive military items). Notably, “critical technologies” will eventually include now-uncontrolled emerging and foundational technologies essential to national security that are identified through a regular order interagency process and, after a public notice-and-comment process, identified on an export control list. Non-passive investments include an investment that affords the foreign person (a) access to any material non-public technical information; (b) membership or observer rights on the board of directors or an equivalent governing body of the business or the right to nominate an individual to a position on that body; or (c) any involvement, other than through voting of shares, in substantive decision-making regarding sensitive personal data of U.S. citizens, critical technologies or critical infrastructure. Among other things, this expansion, by way of eliminating the control threshold in particular, is expected to greatly increase the number of reviewable acquisitions in the high-tech startup section. Certain real estate purchases, leases, or concessions. Specifically, CFIUS may review any real estate transaction, both developed and undeveloped real estate, that is proximate to (1) an air or maritime port, or (2) a U.S. military facility or other sensitive government locations. Single family units and property in urban areas are excluded from the CFIUS review. This expansion is largely viewed as the codification of an existing CFIUS practice. During the past few years, CFIUS has developed and applied a "close proximity" test, which was first introduced in 2012 in the review of the Ralls Corporation acquisition of a windfarm in Oregon. However, as compared to the existing CFIUS practice, FIRRMA further extends the review to any undeveloped real estate. Under the old statute, a piece of undeveloped land on its own was specifically excluded from the scope of CFIUS jurisdiction. This change will insert CFIUS review into some greenfield projects. 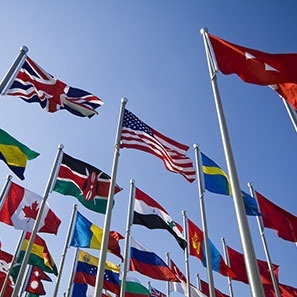 Changes in the existing rights that a foreign person has with respect to an investment in a U.S. business if that change could result in control. Any transaction or agreement designed to evade or circumvent CFIUS review. FIRRMA also makes changes to the CFIUS submission and review process. Previously, submission of transactions to CFIUS was a voluntary process in that no laws or regulations required companies to file a notice, although companies that did not file risked CFIUS initiating its own investigation and potentially blocking a deal. Under FIRRMA, however, parties to a transaction must submit a mandatory reporting, if the involved foreign person is one in which a foreign government has a “substantial interest” and such foreign person would acquire a “substantial interest” in a U.S. business that involves critical infrastructure, critical technologies, or that maintains or collects sensitive personal data. The term “substantial interest” remains to be defined in future regulations. A waiver from the mandatory filing is available in limited circumstances. Mandated reporting may be satisfied either through a standard filing or a “declaration,” a new short form notice filing created by FIRRMA. CFIUS will then respond within 30 days by (1) initiating a unilateral review; (2) requesting that a full written notice be filed; (3) clearing the transaction; or (4) informing the parties that it cannot make a determination based on the declaration. In addition to meeting the mandatory reporting requirement, parties to a transaction are permitted to make a voluntary “declaration” and request that CFIUS determine whether a full and formal filing is necessary. For transactions that are not likely considered to pose national security risks, the voluntary “declaration” may be used to obtain safe harbor treatment. FIRRMA extends the time period for review of foreign investments by CFIUS from 30 to 45 days. The length of the investigation period remains at 45 days, but may be extended an additional 15 days under extraordinary circumstances. CFIUS has the authority to prevent a transaction from closing before it completes the review or investigation process where there are potential national security concerns. FIRRMA also requires CFIUS to provide comments on a draft or formal notice, or accept a formal written notice, no later than 10 business days after submission. This change will benefit filing parties by providing a tighter timeline. Lastly, filing a notice will now require a filing fee of up to 1% of the value of the transaction, capped at $300,000. The filing fee will become an important factor in smaller transactions involving startups where parties are usually sensitive to transaction costs. FIRRMA makes significant changes to the CFIUS review process. These changes will undoubtedly impact the economics and structuring of many transactions that involve a foreign party. Deal makers now need to thoroughly examine many types of transactions that could previously be easily excluded from the CFIUS jurisdiction. Additionally, deal makers must determine whether the mandatory reporting of the transaction to CFIUS applies to a given transaction. If you have any questions or need more information, please contact Jamie Wang (wangyi@whiteandwilliams.com; 646.766.1350), Tarik Abdel-Meguid (abdel-meguidt@whiteandwilliams.com; 215.864.6350), Tina Zheng (zhengt@whiteandwilliams.com; 215.864.7078), or another member of the International Group.